Good counseling focuses on helping the whole person find a way to heal. David specializes in treating a full-range of anxiety disorders. Currently, he provides individual, group, couples, marital and family counseling. Why not have counseling in the privacy of your home? David's specialties as a therapist are in the areas of anxiety disorders, post-traumatic stress (PTSD/Trauma) and emotion regulation problems. He considers himself to be an attachment focused therapist. He believes that early childhood experiences and caregiver interactions play a significant role in many of the issues that clients bring to therapy. His therapeutic orientation is heavily grounded in the latest neuroscience research. He gives you many approaches, alongside the therapeutic relationship, to work on trauma and attachment and does not force feed one approach. David is a licensed clinical social worker (LCSW) working as psychotherapist in the South Florida area. His practice centers around the Miami and Fort Lauderdale metropolitan area. 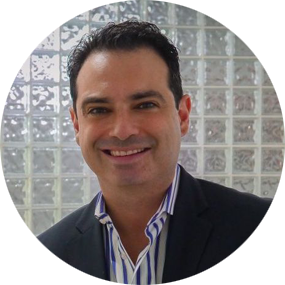 He operates his Miami practice in Aventura which is equidistant between Fort Lauderdale and South Beach. Prior to becoming a therapist, David worked for ten years in a variety of corporate roles. He brings corporate experience, problem solving, organizational skills and a wide variety of other skills sets to the interaction. As a therapist, David has been counseling adults for over seven years. During that time, he worked primarily in community behavioral health. The majority of his time was spent as member of the DBT program at MARC Community Resource Center in Arizona. David worked with substance abuse, general mental health and the seriously mentally ill population. He was part of a highly trained Dialectical Behavior Therapy (DBT) consult team; One of two in the State of Arizona. He has extensive experience working with individuals, couples and families. He has experience working alongside clients to help them through custody, marital and legal difficulties. He interacted with a number of government agencies including Child Protective Services (CPS) and the criminal justice system. He has been asked to testify in court as an expert witness.